Whether you’re using cold-formed steel or wood construction, you’re probably fielding more questions from clients about your green building practices. 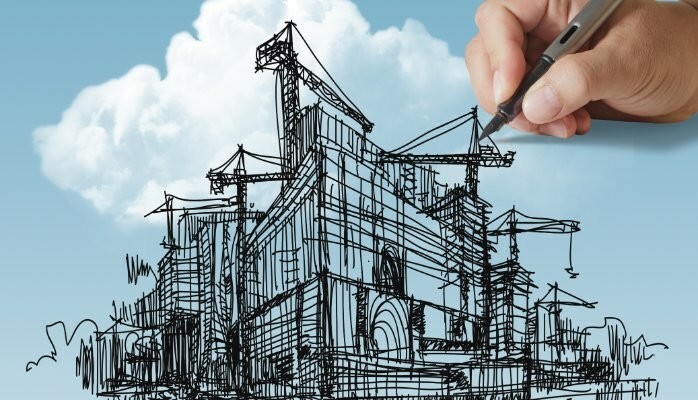 By now I’m sure you’ve heard that Building Information Modeling (BIM) can help you determine and achieve sustainability goals for your projects. But it’s an emerging field so let’s talk about how it achieves those goals. BIM has some obvious advantages. Because BIM models are so detailed, the likelihood of error is greatly reduced during the design process. And the more questions you can answer about your project before it’s built translates into financial and environmental efficiencies. But one of the biggest buzzes surrounding BIM right now is energy efficiency. With the information from BIM, you can simulate a building’s comprehensive energy performance with a degree of accuracy that other, and older, energy analysis methods can’t match. Architects can use data from BIM models to consider all aspects of a building’s energy requirements, from how a building is used by its occupants, to daylighting evaluations that consider not only how you can harness natural light, but how natural light will affect things like your HVAC. That also helps you calculate how much artificial light you need to add to your project. All of these things can help reduce energy consumption. BIM also allows you to analyze the life cycle of your building, providing important data for determining the sustainability of your design and materials. OK, it isn’t hard to sell you on the benefits of BIM, but how can you put it to work for you? Vertex BD from Vertex Systems is the ideal BIM platform. Traditional CAD software applications create 2D line drawings, and eventually 3D models, that contain only simple geometry. But Vertex BD is a 2D and 3D design system that enables a designer to build a structure in virtual space using objects that contain information about themselves. For example, when you draw a wall in Vertex BD, the wall object has information about what it should look like in 2D and 3D, as well as, the materials used to build that wall, the framing details to be used when generating the production drawings of that wall, and what connections that wall has to other walls, floors, roofs, etc. Once the building has been created in the software, all this information is used to generate architectural layouts, elevation and section drawings, structural layouts, production drawings, material reports, manufacturing data, and rendered images, all from one source. This eliminates the task of creating all of those drawings and reports separately, and ensures they are all consistent with each other. Next, Vertex BD BIM is easily exported to external energy calculation software so you can fully realize the energy efficiencies and environmental benefits of BIM models. In short, with Vertex BD you have your BIM. And the unexpected bonus, BIM looks good in green.